Poppy Markham practically grew up at the family restaurant in Austin, Texas, and, until recently, worked as a sous chef under her surly stepsister, Ursula. 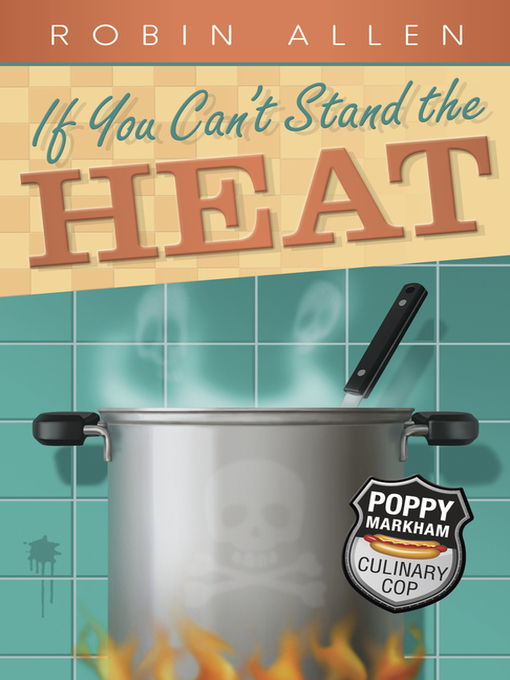 Poppy's not sure if her dad will ever forgive her for leaving the family business to become a public health inspector-the most reviled figure in the restaurant industry-but when he asks her back into the kitchen to help out during the restaurant's grand re-opening, she can't refuse. Chaos ensues when the guest of honor, Michelin-rated chef Évariste Bontecou, is found stabbed to death with Ursula's knife. Sacrebleu! Sorting through everyone who had it in for the hot-headed, philandering French chef is worse than deboning a Coho salmon. Could it be the bad-boy sous chef eyeing his chance at the top or the conniving waitress rumored to be Évariste's paramour du jour? The closer Poppy gets to solving the mystery, the hotter things get. And as everyone knows: if you can't stand the heat, stay out of the kitchen.